Opera VPN posted a surprise message on its website over the weekend to announce that its free VPN service for both Android and iOS devices would be coming to an end. The website states that the VPN app will stop functioning on April 30th, 2018. Being only two weeks away the announcement has come as a shock to many users leaving little time to find alternatives. As an alternative users are being pushed to purchase a SurfEasy subscription. SurfEasy is a paid-VPN service previously owned by the company behind Opera which was acquired back in 2015 and then sold again to Norton producers Symantec late in 2017. However, SurfEasy is not the best alternative to Opera VPN and if you’re now left in the difficult position of finding a new provider before the April 30th deadline we’ve put together a list of 5 of the very best Opera VPN alternatives. Using a free VPN can never be compared to using a paid-for service. The comparisons are far and few between. Which is why even though you may be disappointed at the news, the closing of Opera VPN is in fact great news for you and great news for other users of the service. This push will allow you to explore other VPN options and enjoy the benefits that a well run paid-for VPN service can bring. So, if you’re looking for a new VPN now Opera VPN is closing, here are 5 of the best. IPVanish has been one of the industry leading VPN providers for over 3 years. After launching in 2012 they have grown to offer one of the fastest and most stable VPN networks in the world. In our tests we found them to offer one of the better services which resulted in them not only being awarded our Editor’s Choice award for 2018 but also scoring the highest ever review score awarded on our site. The service stores no logs of your activity allowing you to browse the internet securely. Apps are available for both Android and iOS device as well as software for Windows PCs and MacOS. There’s even a dedicated Amazon app for the Fire TV and Firestick. With servers in 60 countries around the world and a 7-day money back guarantee, they’re our recommended alternative to Opera VPN. ExpressVPN offers one of the biggest VPN networks in the world made up of a combination of physical and virtual VPN servers. Connection points are available in 94 countries globally making them one of the largest VPN providers. Apps are available for all Android and iOS devices with software for Windows, Mac OS and some Linux versions. There’s also a dedicated Amazon app for the Fire TV devices. If you’re a little unsure then the massive 30-day money back guarantee gives you plenty of time to test the service to see if it’s up to your needs. It’ll also let you compare it to Opera VPN to discover the benefits. NordVPN has gone from strength to strength in recent years to secure themselves firmly as one of the leading VPN services. Based in Panama this no-log VPN service is available across a range of devices including Android and iOS and Windows and Mac computers. The service offers a huge 30-day money back guarantee allowing you time to test the service without risk. In our tests we found they worked with more worldwide TV services than most other providers allowing you to unblock content from across the globe. There are more than 3700 VPN servers available on the service which span over 62 countries. You’ll definitely be able to enjoy the advantages over Opera VPN. CyberGhost VPN makes another good alternative to Opera VPN and not least because they offer a free trial of the service. It doesn’t have all the functions of the main service but it will give you a good indication of how well the service works. Moving from a free VPN like Opera VPN to a paid one can be a big jump so the free trial gives you plenty of time to test the service to make sure you’re getting an upgrade over Opera VPN. There’s also a huge 30-day money back guarantee so if you sign up to the service and you discover it’s not for you then you can simply get a refund. Servers are available in 60 countries around the world and you can use the service on up to 5 devices at the same time. Private Internet Access is one of the biggest names in the VPN industry and with some of the smallest prices, it’s not hard to see why. Moving from a free VPN service like Opera VPN can be difficult because you probably won’t want to pay for a service. Private Internet Access alleviates most of that reluctance because their service costs just a couple of US dollars or pounds per month. They don’t quite have the server location coverage of the above providers but it’s more than Opera VPN and comparable to the recommended SurfEasy solution. The service works with all kinds of devices and apps are available for Android and iOS as well as Windows and Mac. The service also offers a 7-day money back guarantee so it’s risk-free. 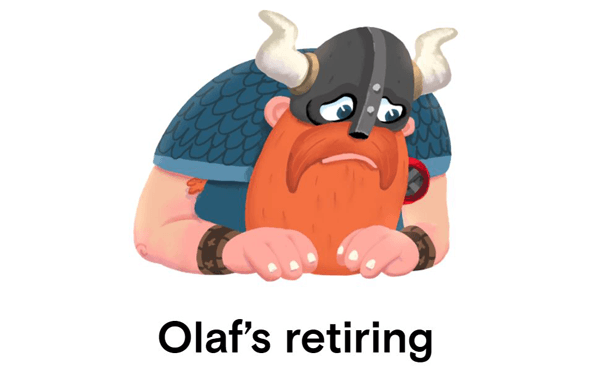 Opera VPN hasn’t actually been around all that long and already they’re shutting it down. Perhaps the popularity of the service made it too expensive to run. The closure while sad if you’re a user is a good time to reflect on VPN services and if their business model is good for you. Most ‘free’ VPN services make money by making you the service. The worst inject ads and other nasties into your connection. The best log details about what you do to sell. Data is big business, the recent Facebook-Cambridge Analytica debacle should tell you that much. We highly recommend you use this situation to push yourself onto a more secure VPN service that won’t sell you out. You can do that by choosing one of the 5 highly recommended services above. If you absolutely must use a ‘free’ VPN service then take a look at our guide to technically the best of the worst of ‘free’ VPN services. If you don’t have time for any of that and you just want a reliable, well rated VPN service without the hassle of searching around then click the button below that will take you to our Number 1 recommended VPN service.